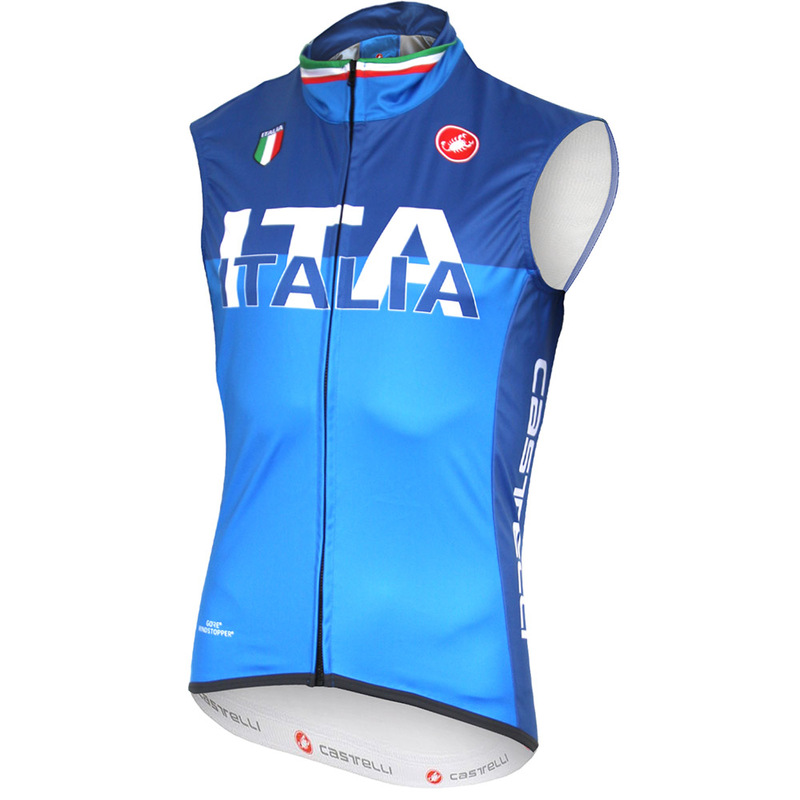 The Castelli Italia limited edition gilet is a versatile, user-friendly piece of kit that’s ideal for changeable days on the bike when temperatures are fluctuating. With a Windstopper front to protect your core you’ll be able to stay warm and comfortable on colder rides while a lighter weight stretchy fabric on the back allows excess heat to escape and allows you to move freely, comfortably holding your cycling position on the bike. A full-length zip means you can easily remove the Italia gilet on the go and thank to its compact and packable construction you’ll be able to quickly store your gilet away in your back pocket. The stylish Italia print is a UK exclusive design bringing together Azzurri blue and black for the first time and is strictly limited. Simply a fantastic bit of kit. Looks great and stands out well without being too garish. Windproofing is superb and a snug fit. Sizing was spot on for me at 182cm tall and 79kg (M). The vest is amazing, great colours and nice protective cloth. If you're expecting to use a base layer and a jersey beneath it, think about having one size bigger of what you're used to.